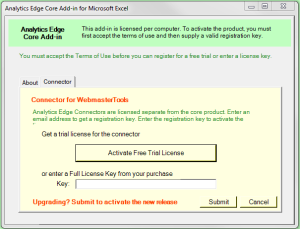 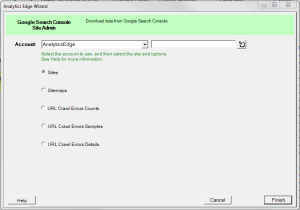 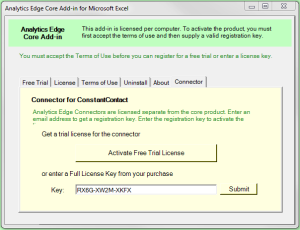 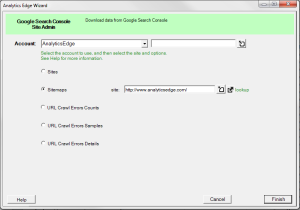 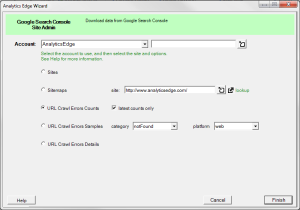 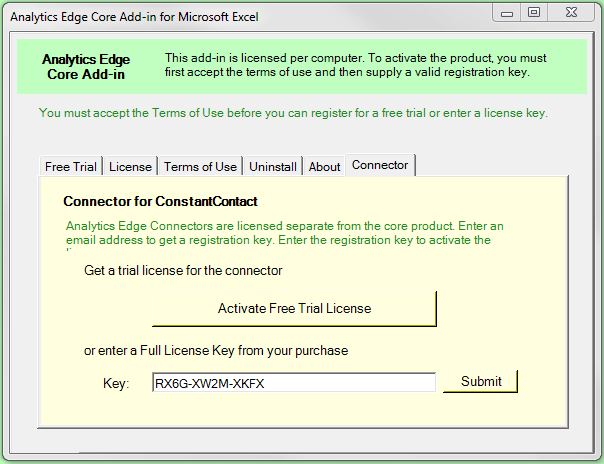 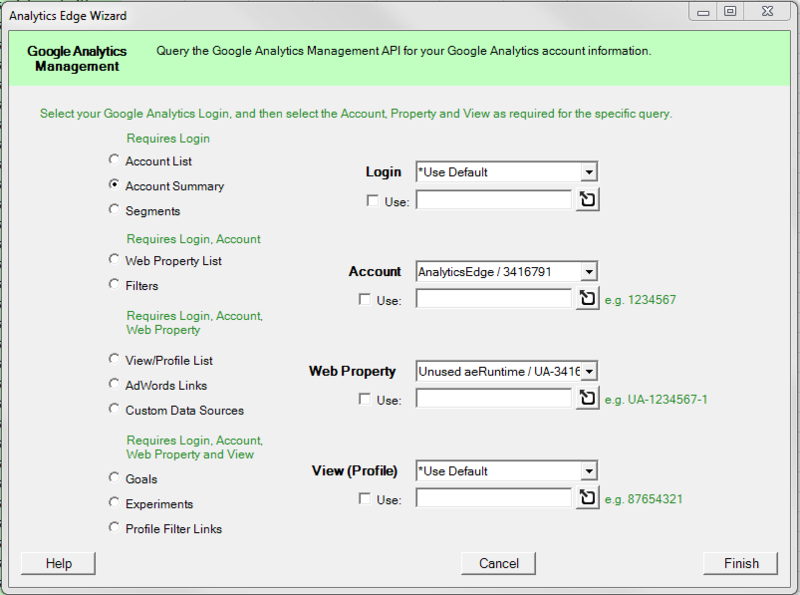 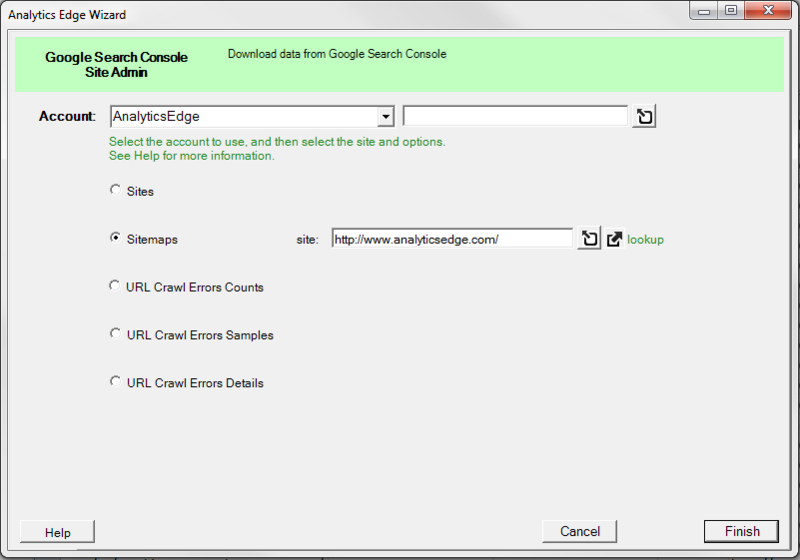 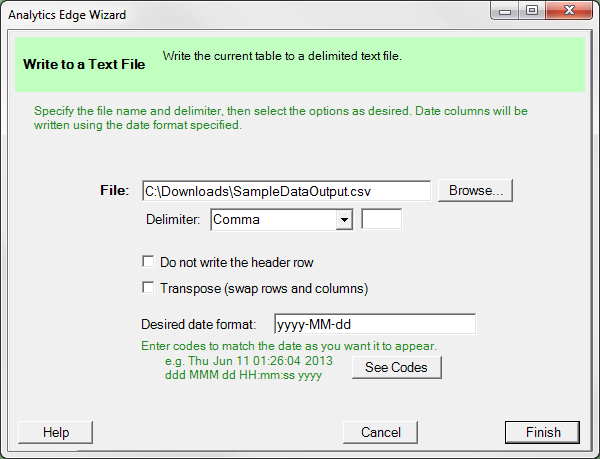 Trial licenses are issued automatically by Analytics Edge. 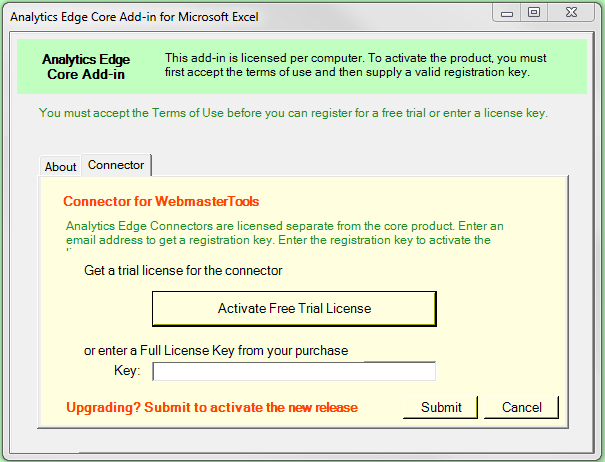 When you make a purchase, enter your registration/license key into the box provided and click Submit. 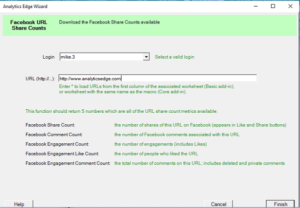 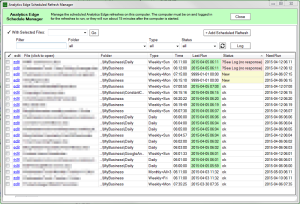 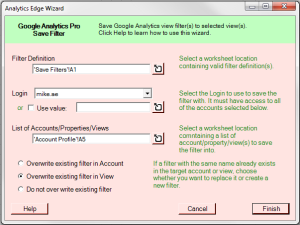 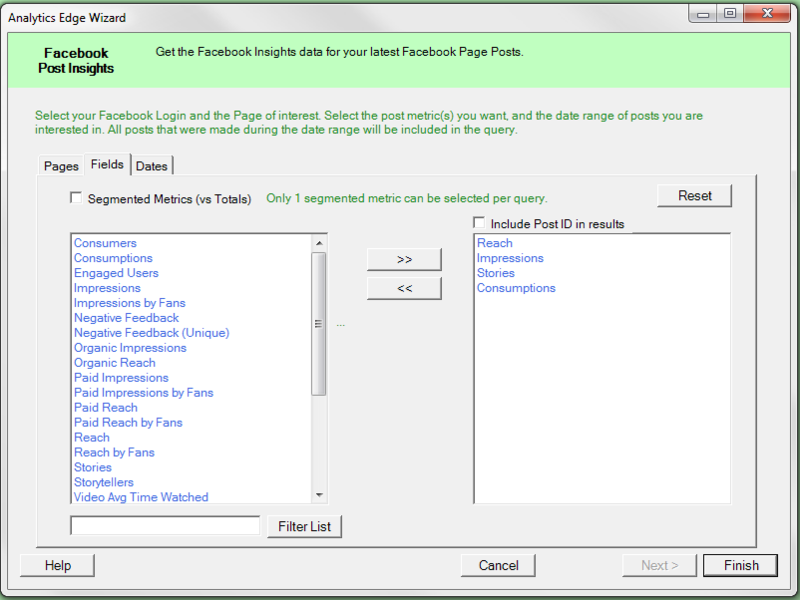 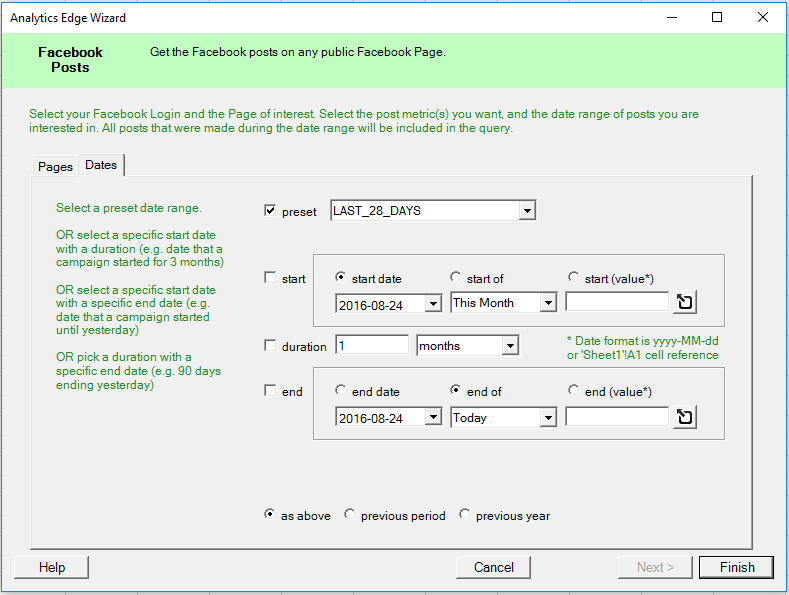 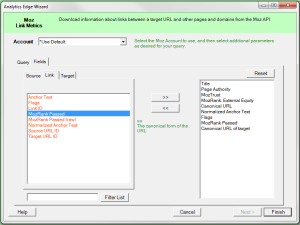 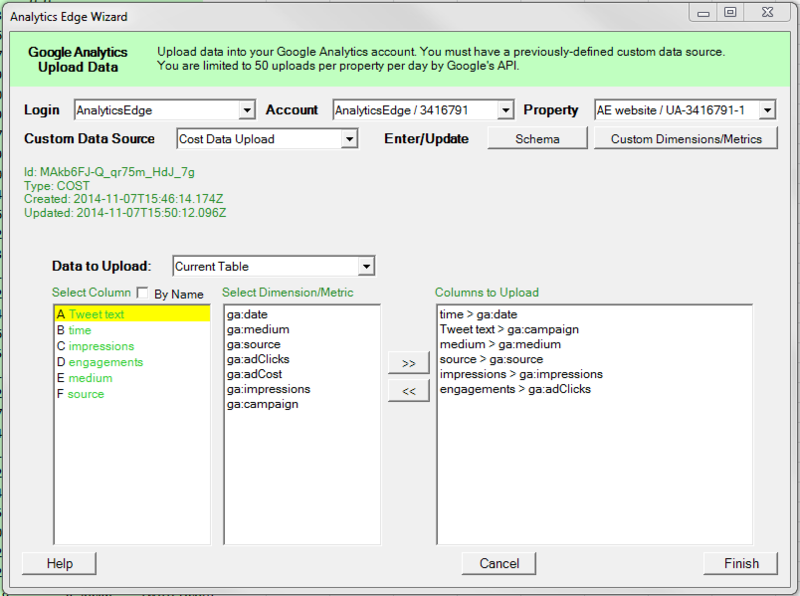 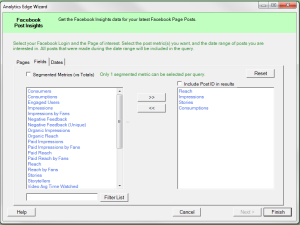 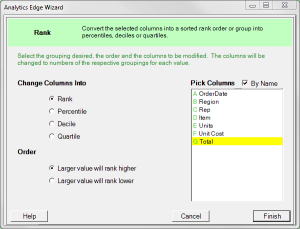 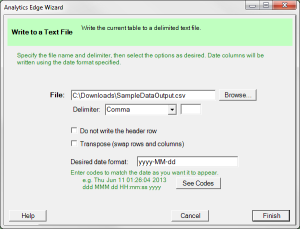 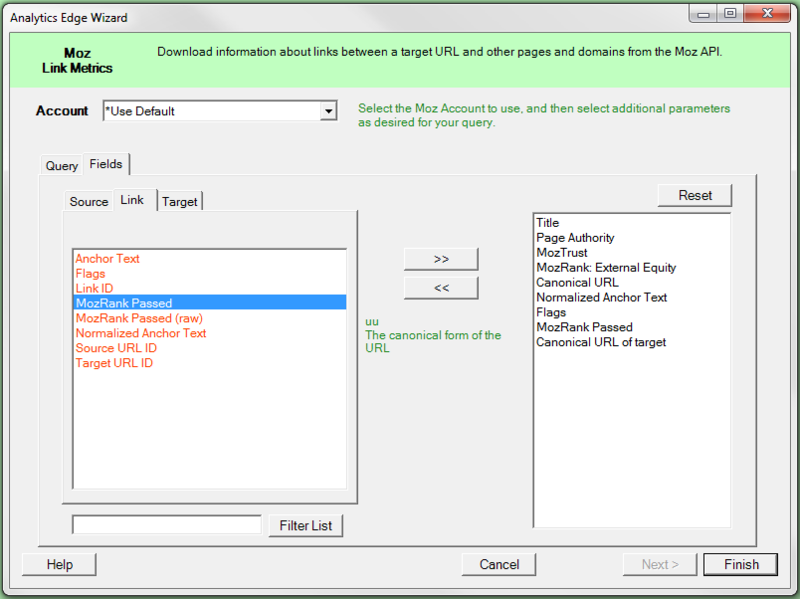 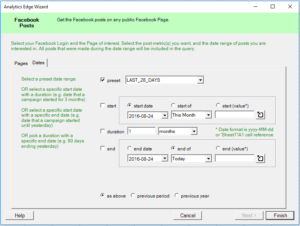 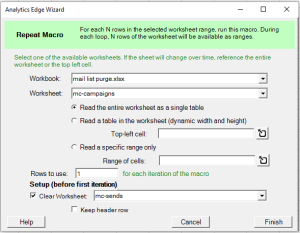 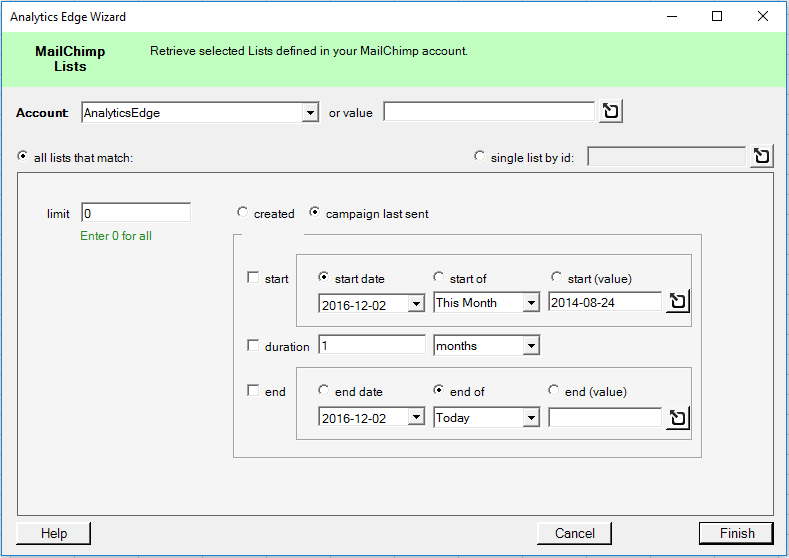 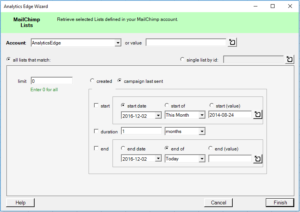 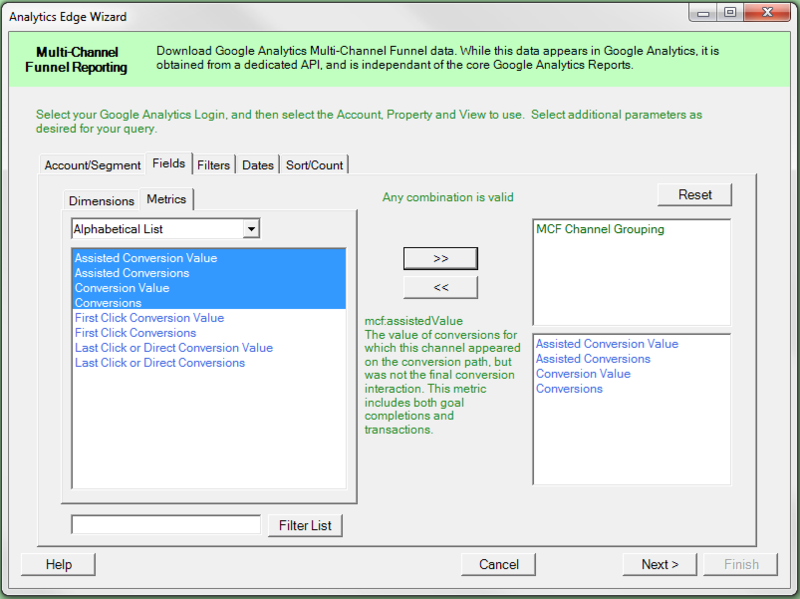 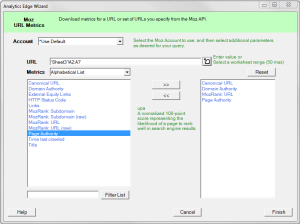 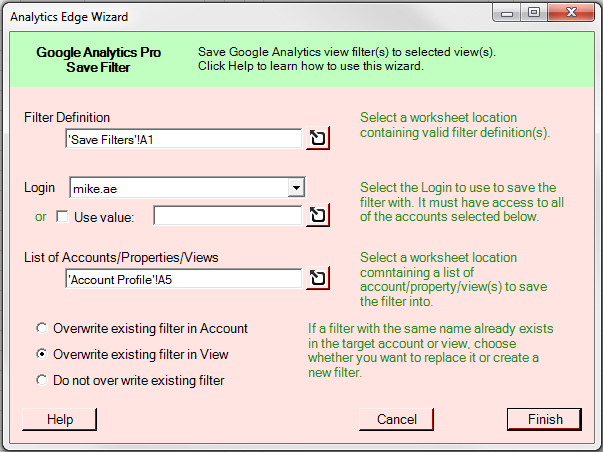 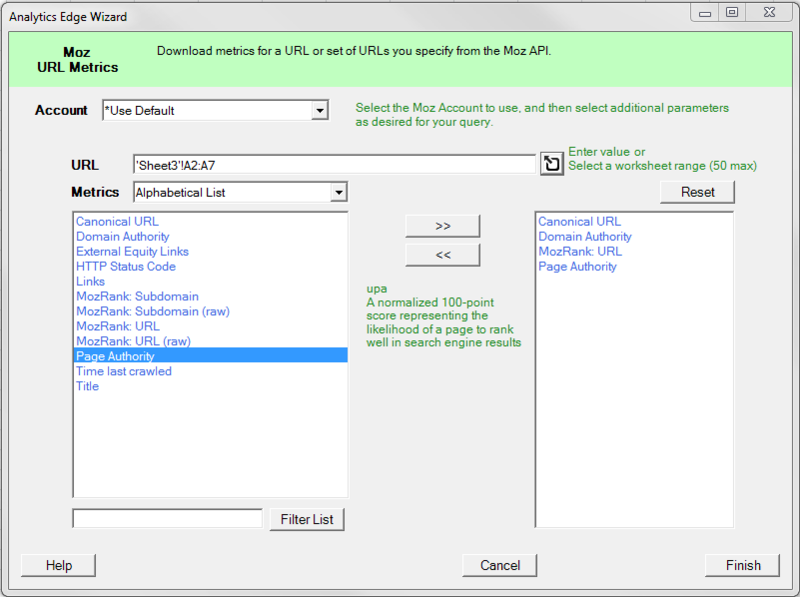 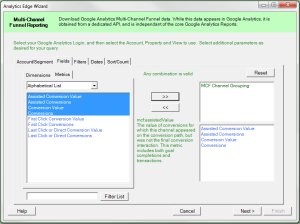 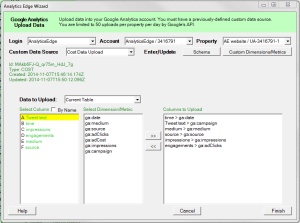 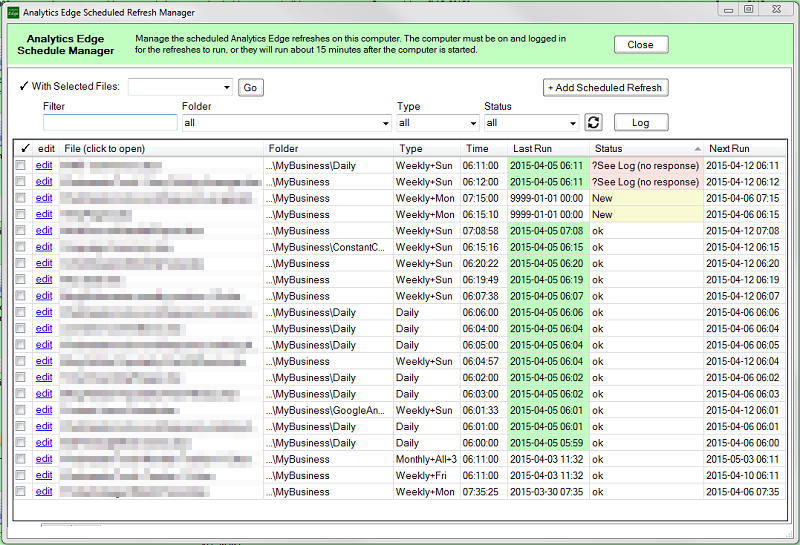 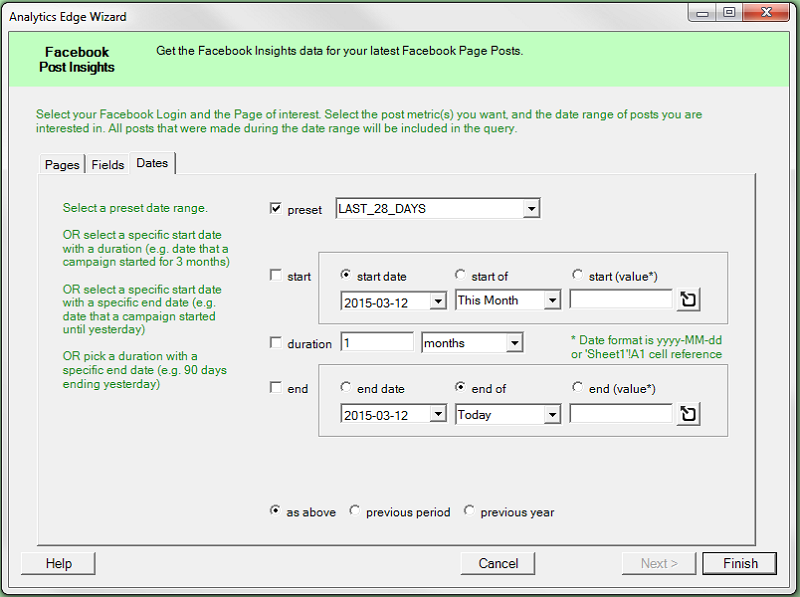 Use this wizard to list all ad accounts, campaigns, ad sets or ads in your accounts. 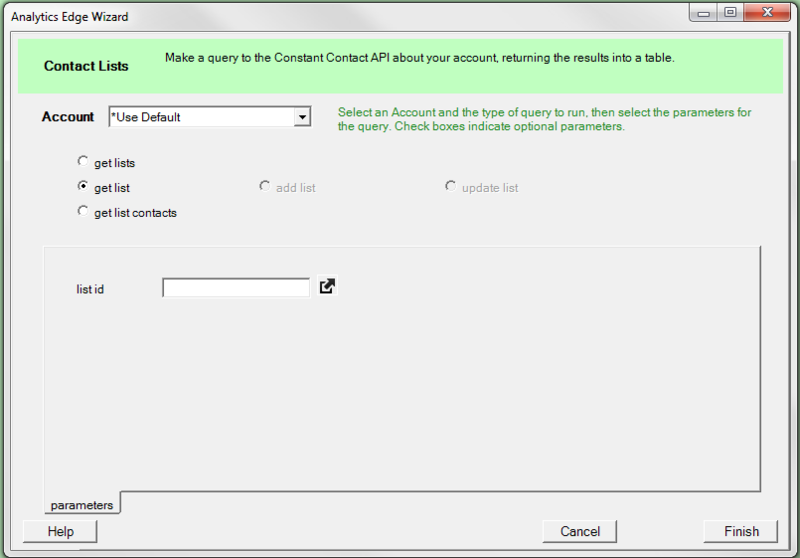 Enter the SalesForce Query you want to run. 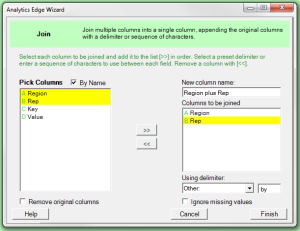 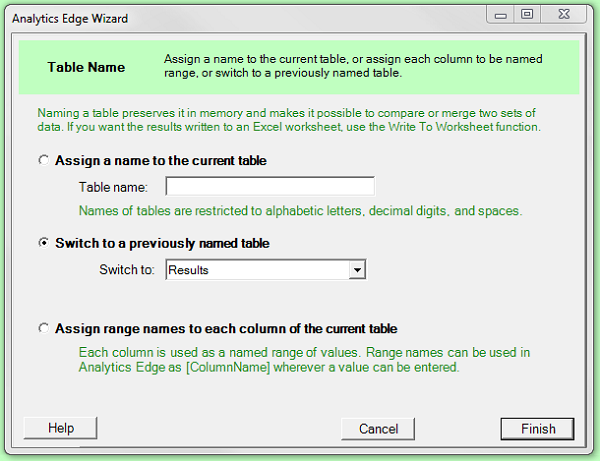 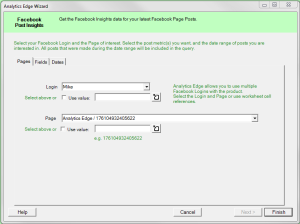 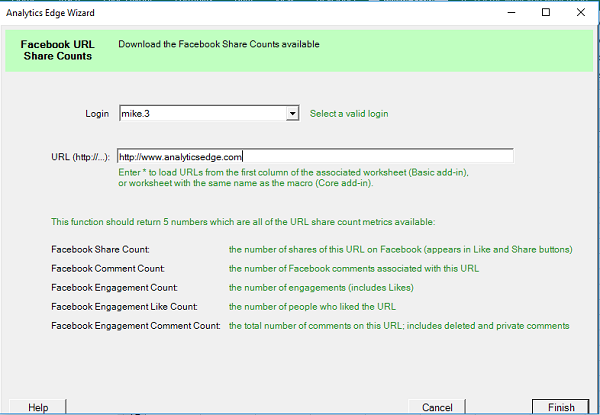 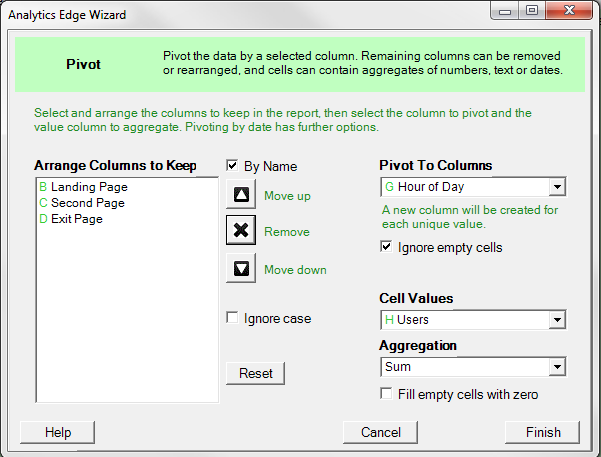 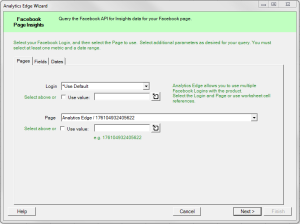 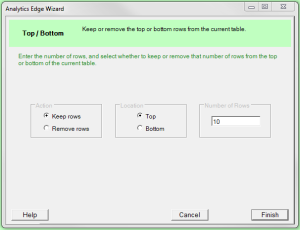 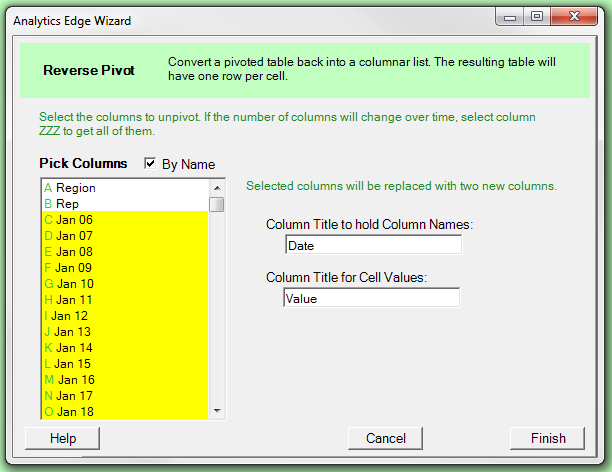 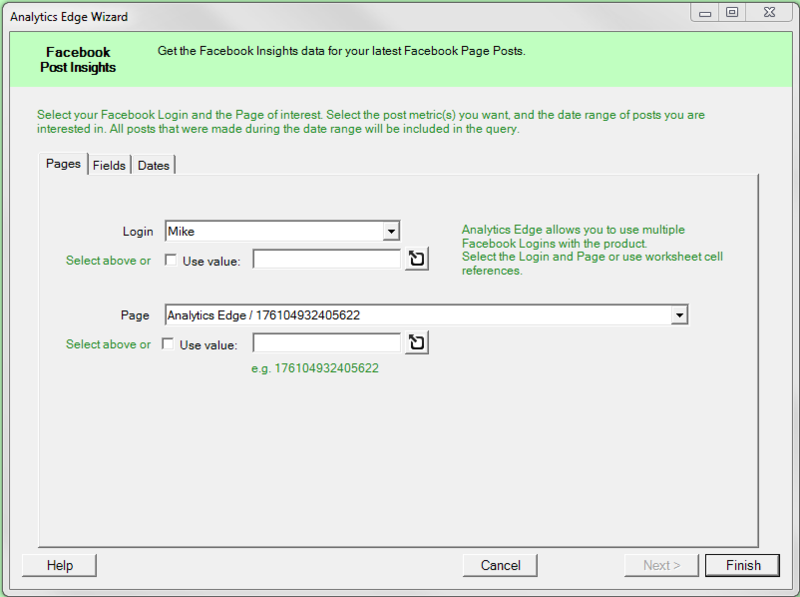 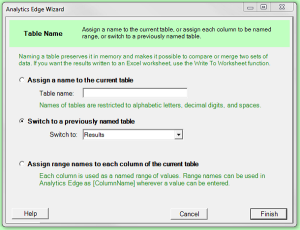 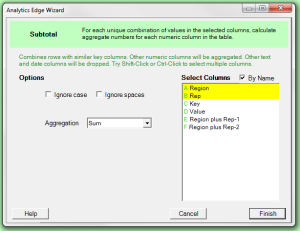 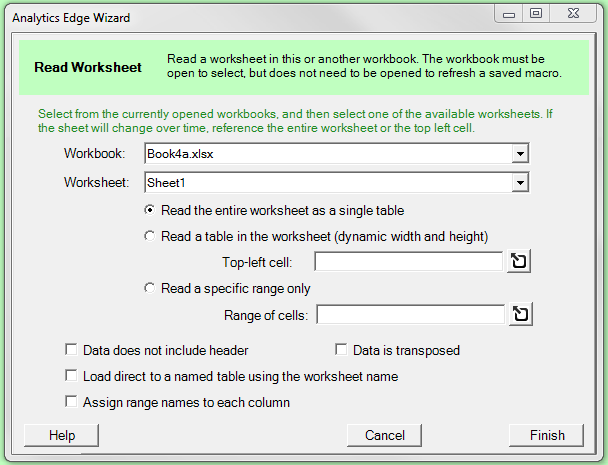 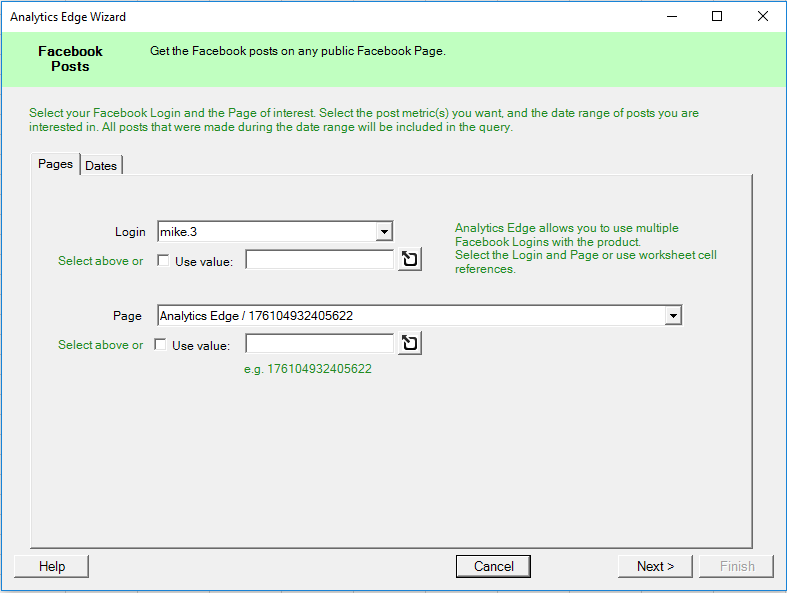 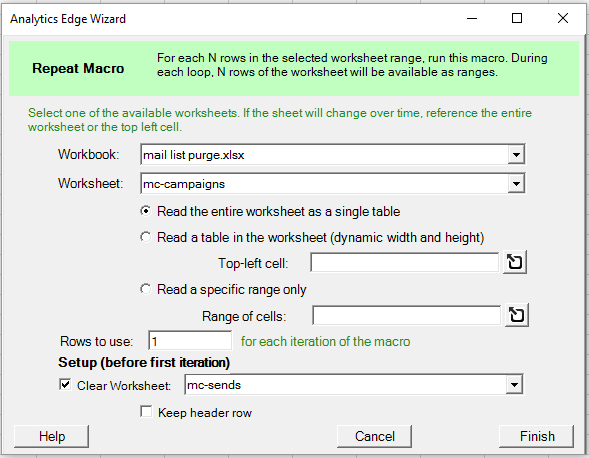 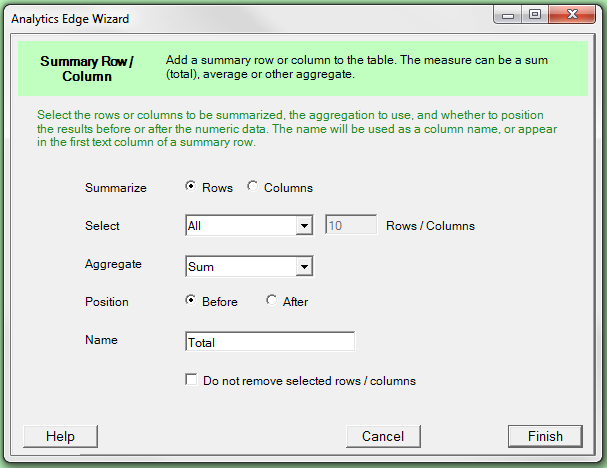 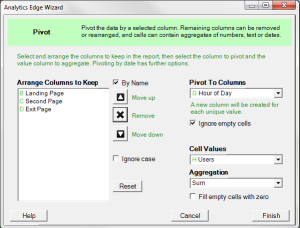 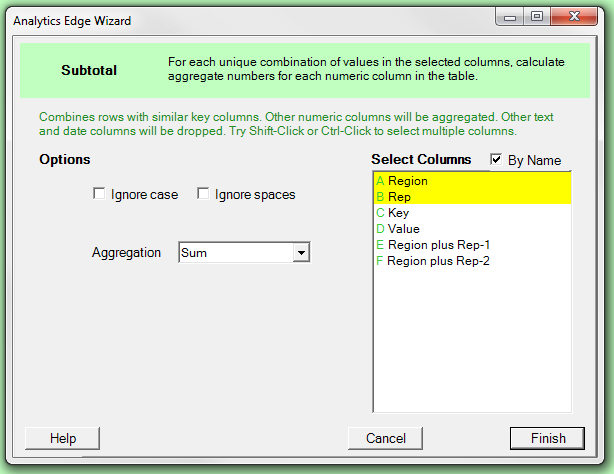 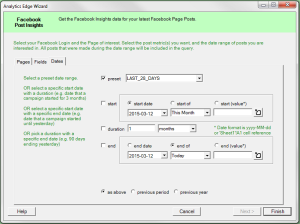 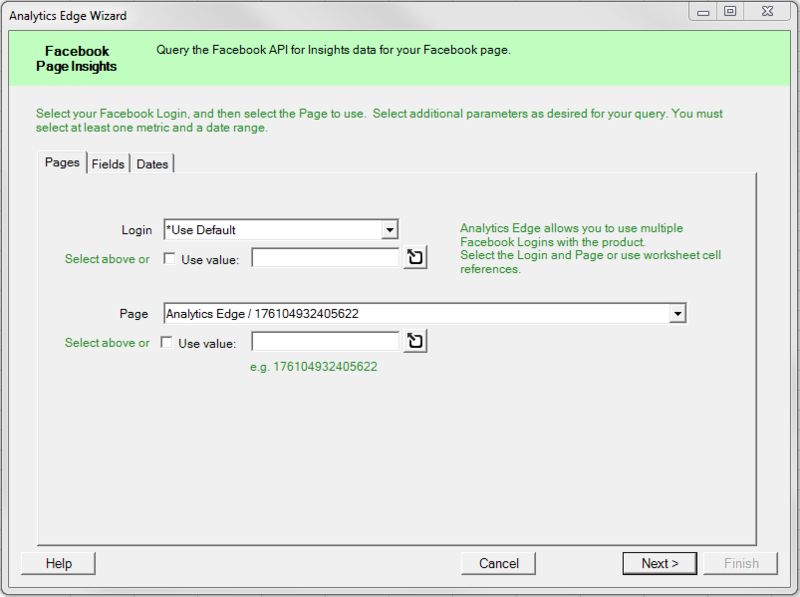 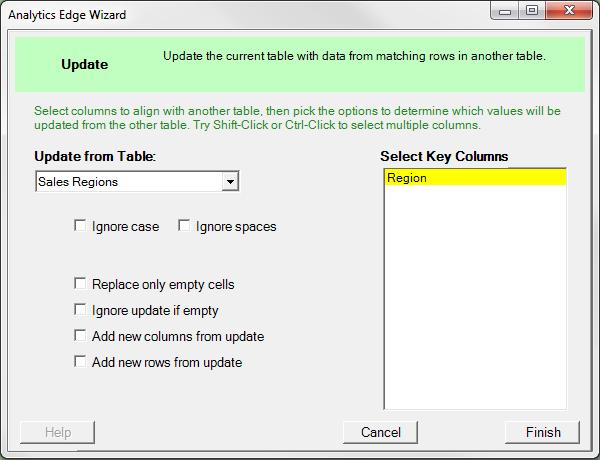 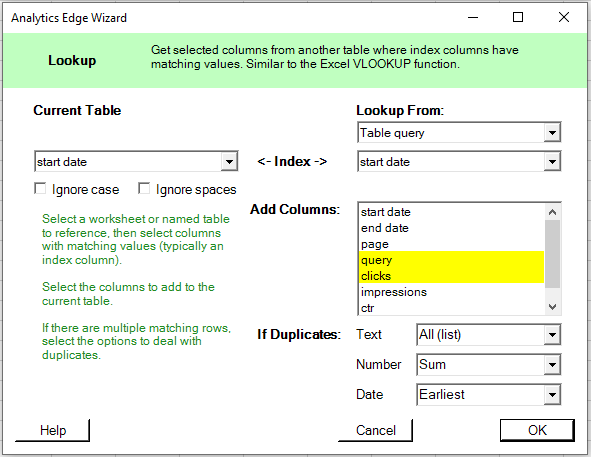 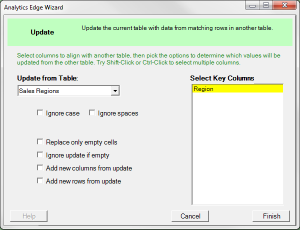 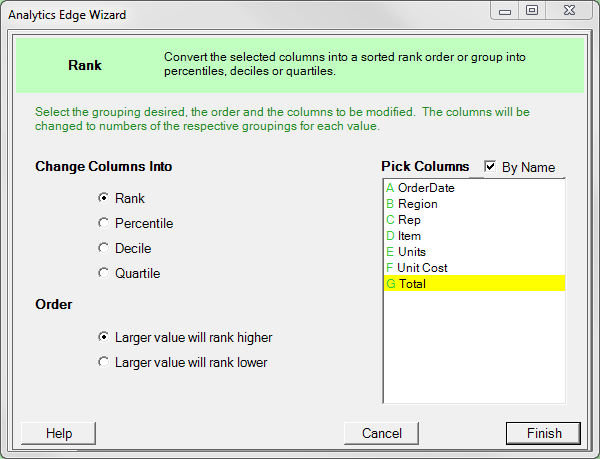 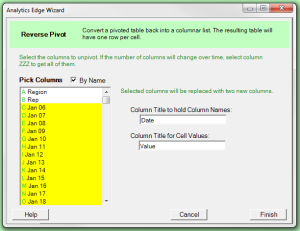 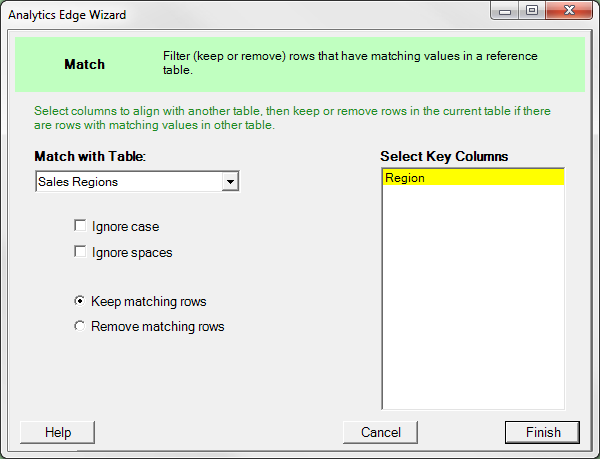 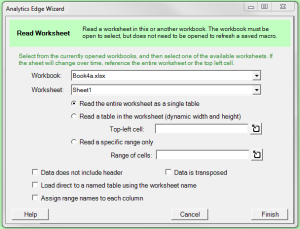 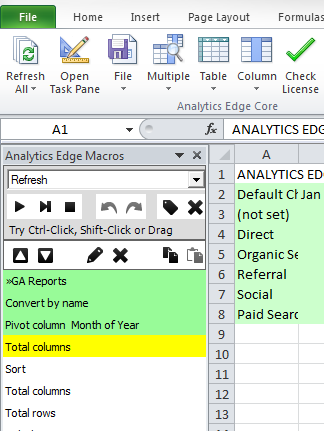 In Excel, on the Analytics Edge ribbon bar, click the Refresh All button to refresh all of your queries in the workbook. Use this Analytics Edge wizard tab to select the Salesforce object (table) of interest. 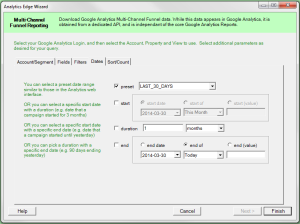 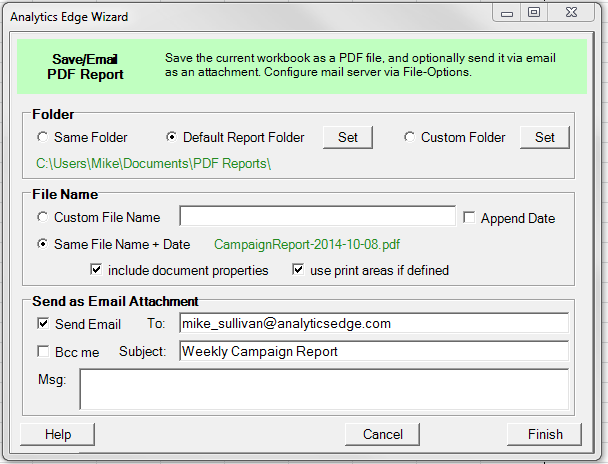 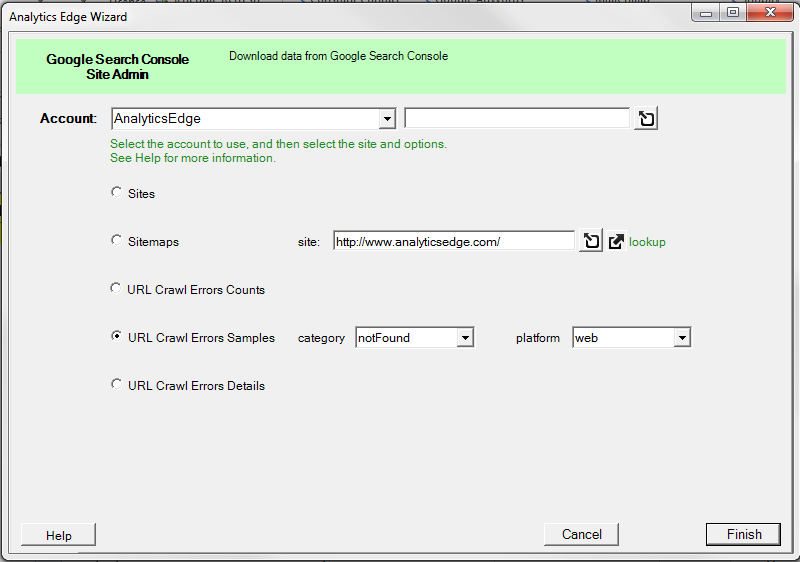 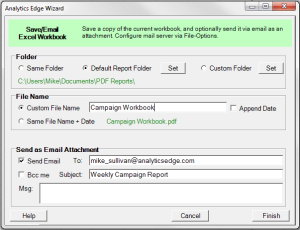 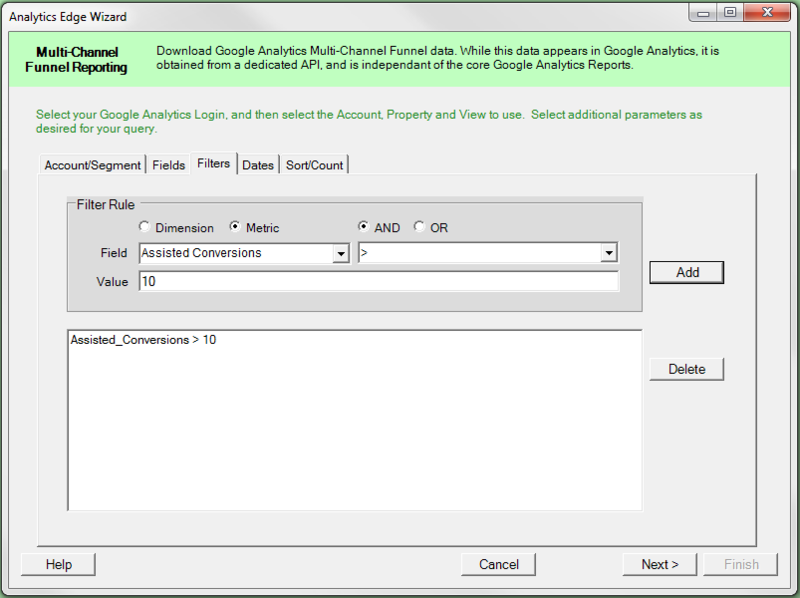 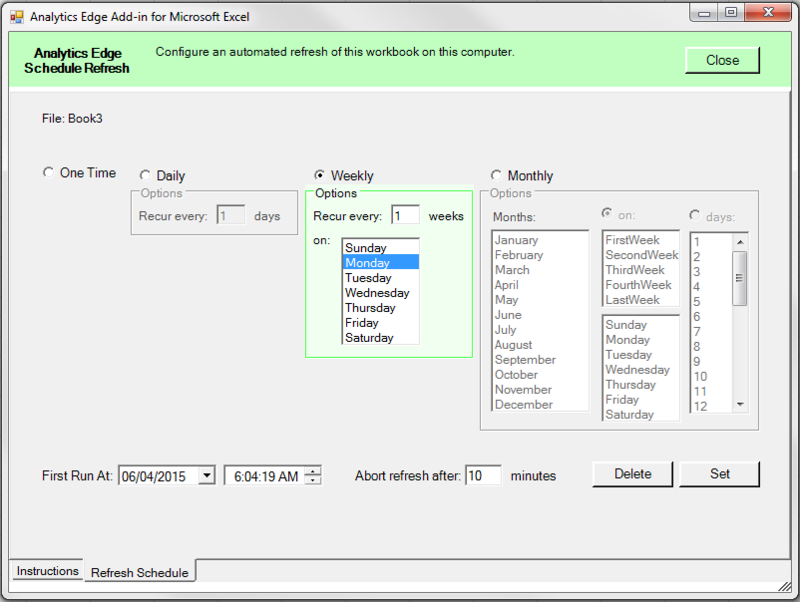 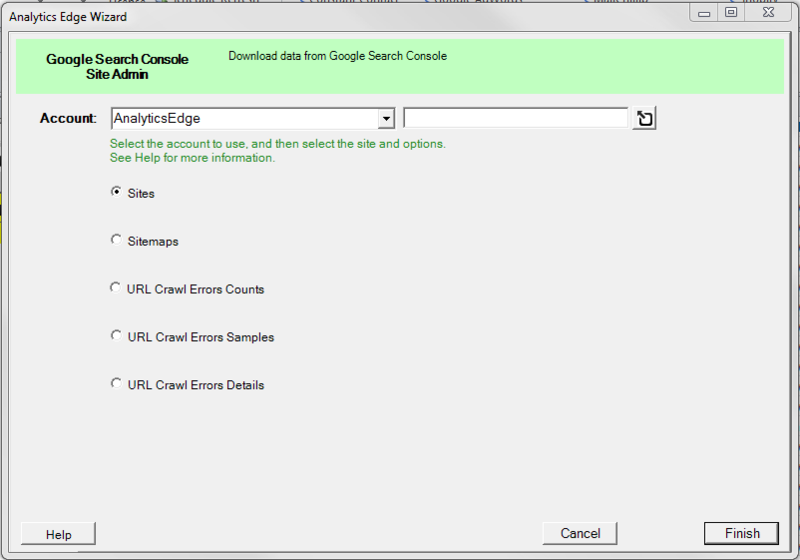 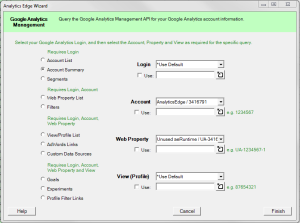 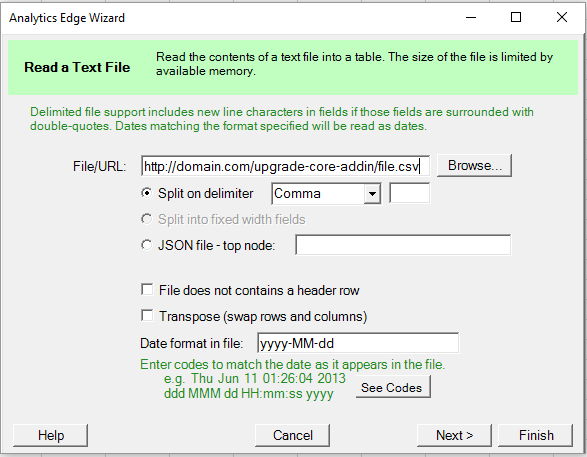 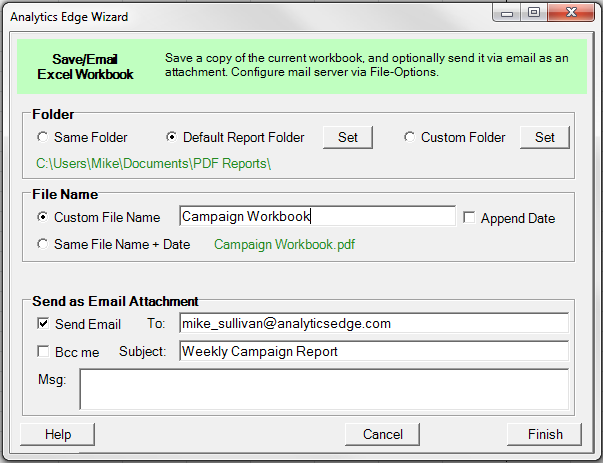 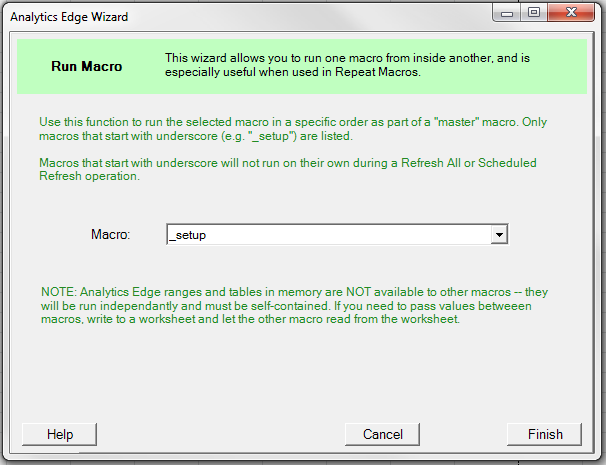 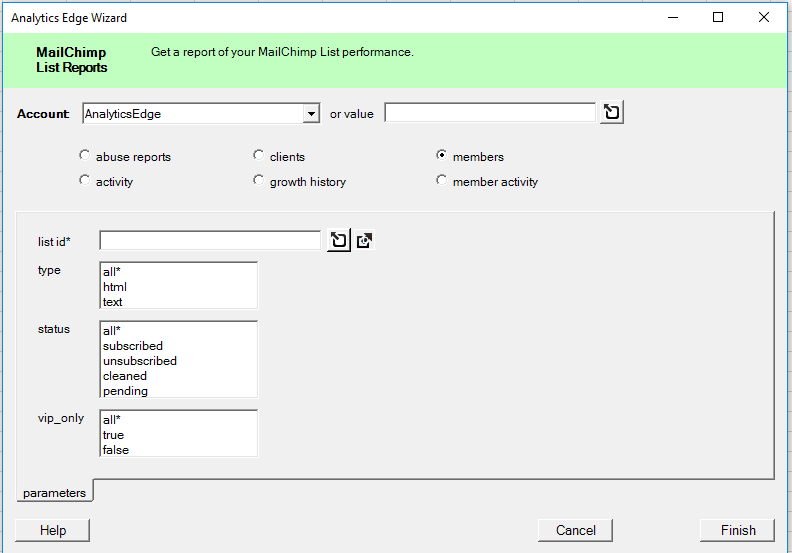 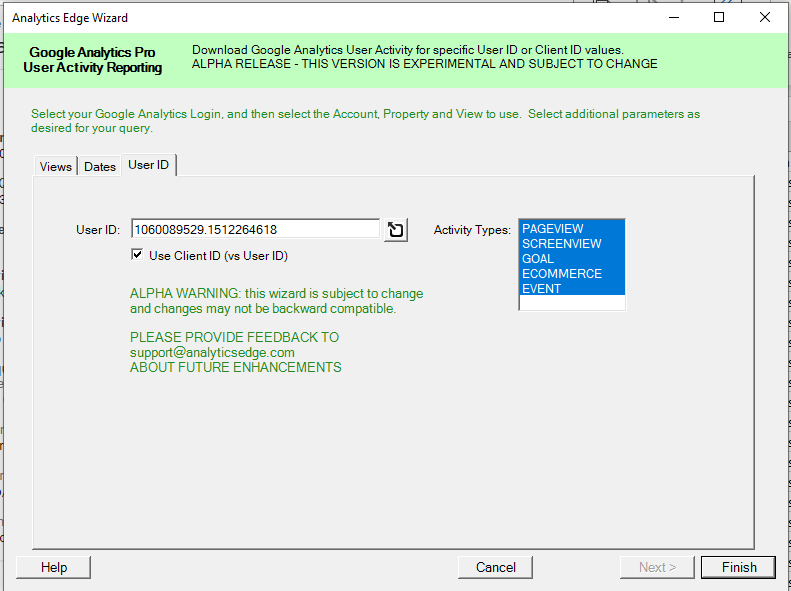 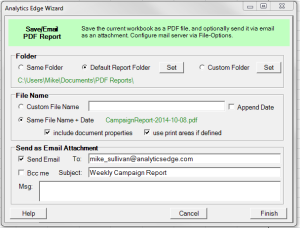 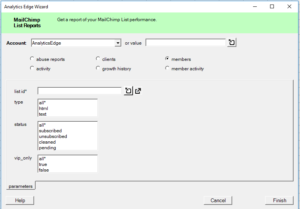 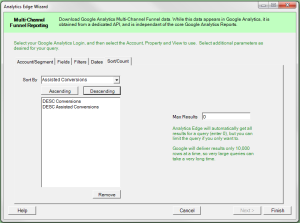 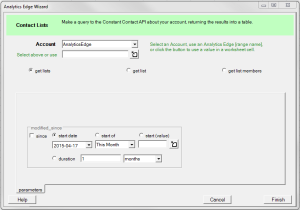 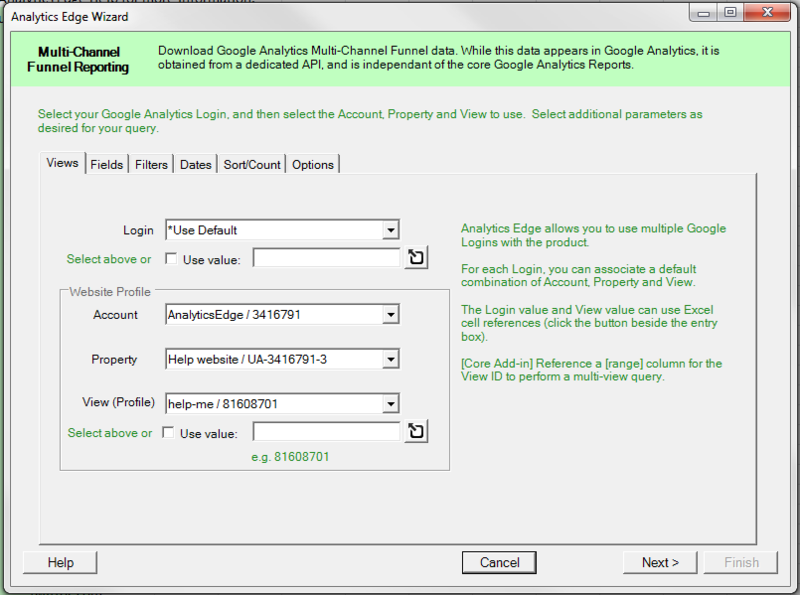 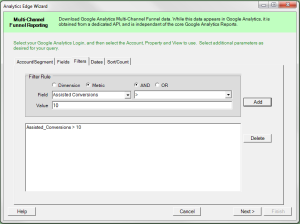 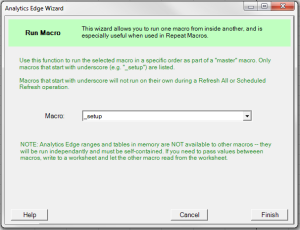 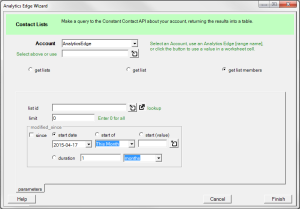 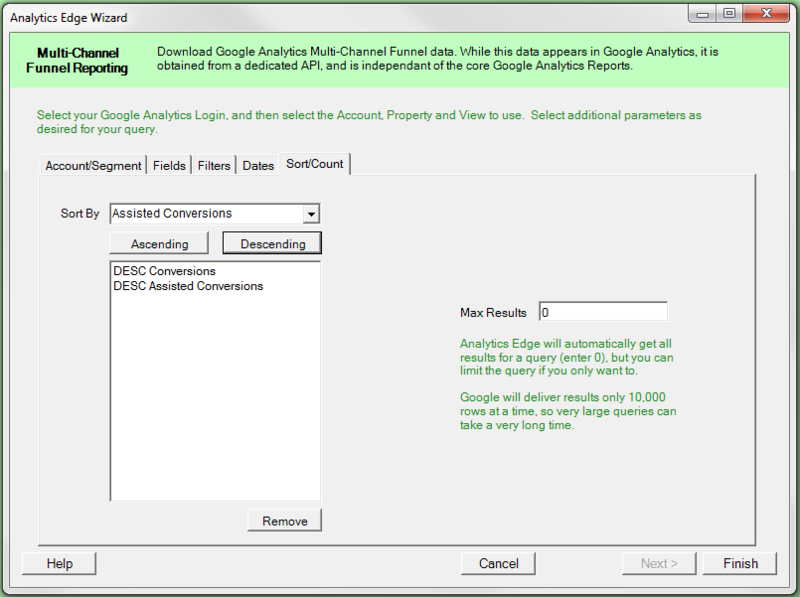 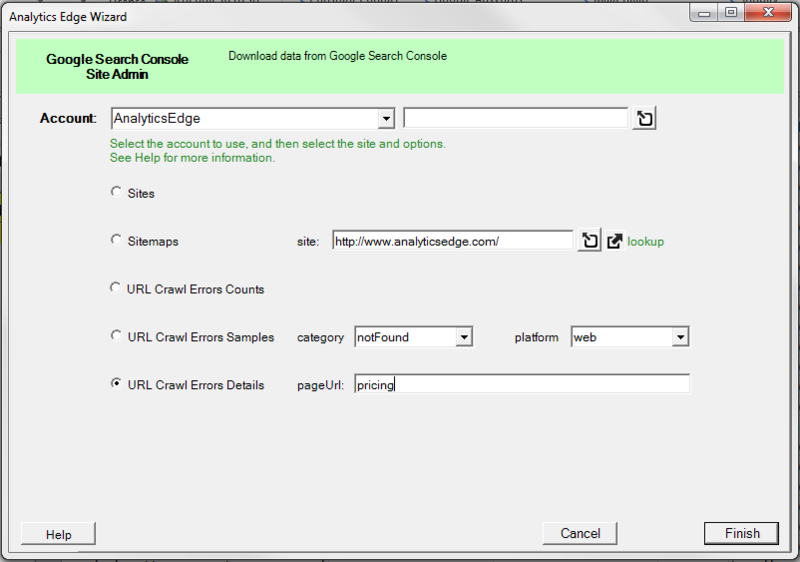 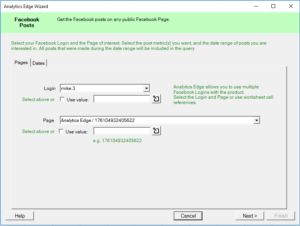 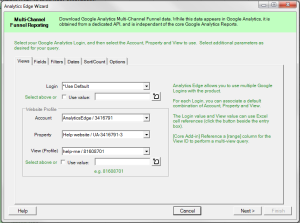 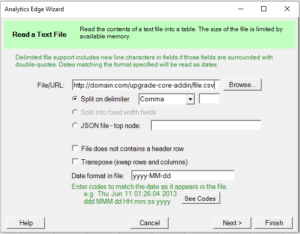 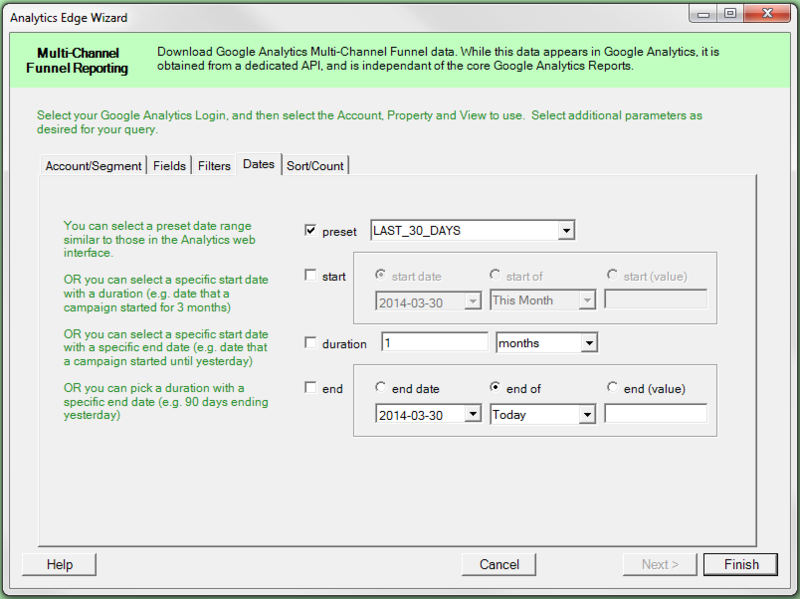 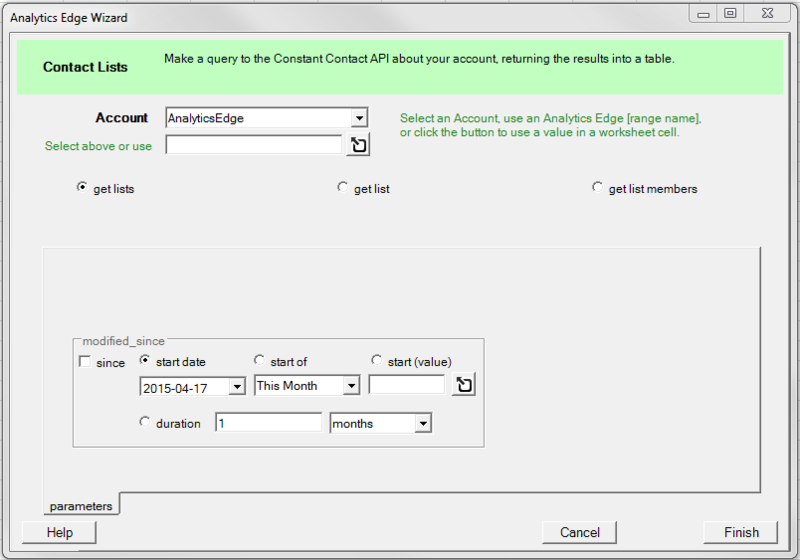 The Analytics Edge Standard Add-in allows you to schedule a refresh of your workbook. 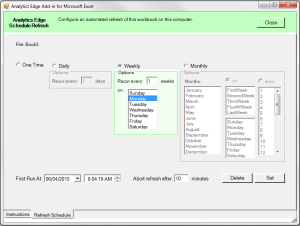 Open the workbook to be scheduled and from the Analytics Edge ribbon bar, click the Schedule button. 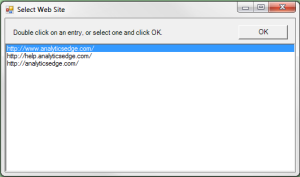 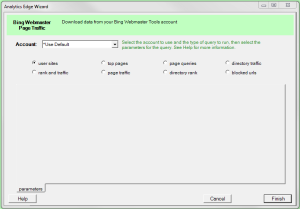 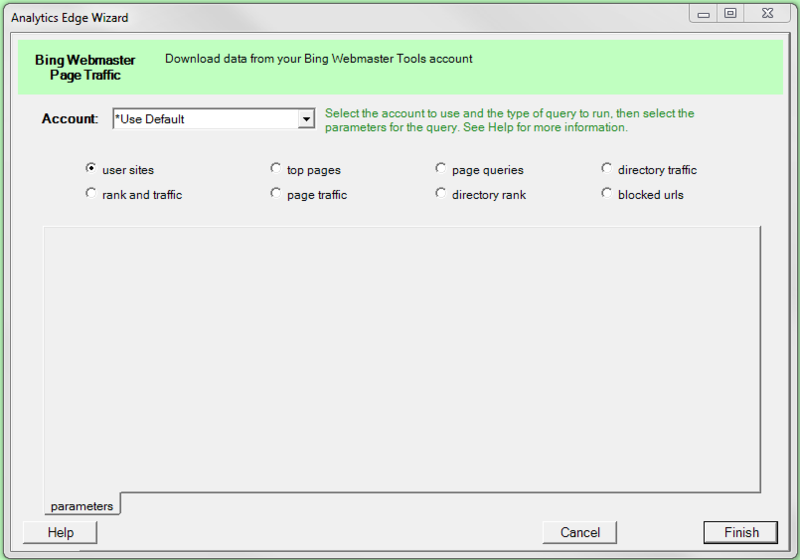 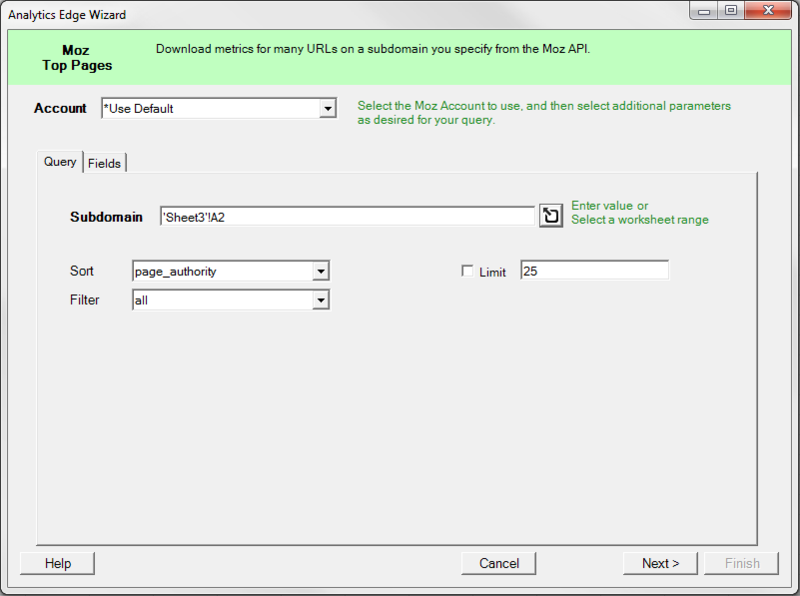 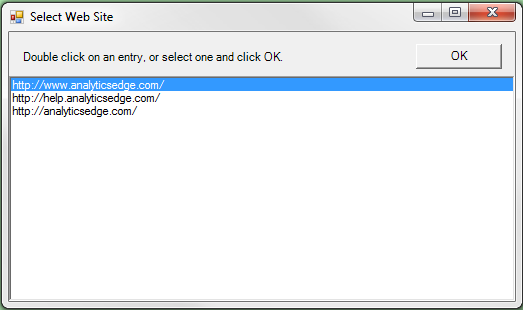 This dialog list all websites that your Webmaster Tools account has access to. 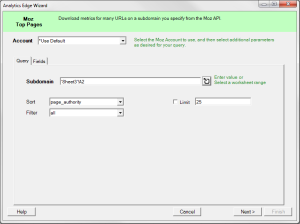 Select the site you want to report on and click OK, or double-click the entry to select and close the dialog. 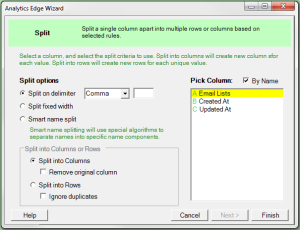 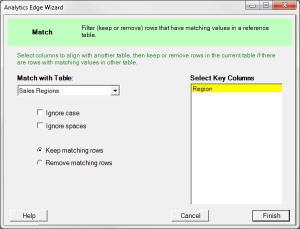 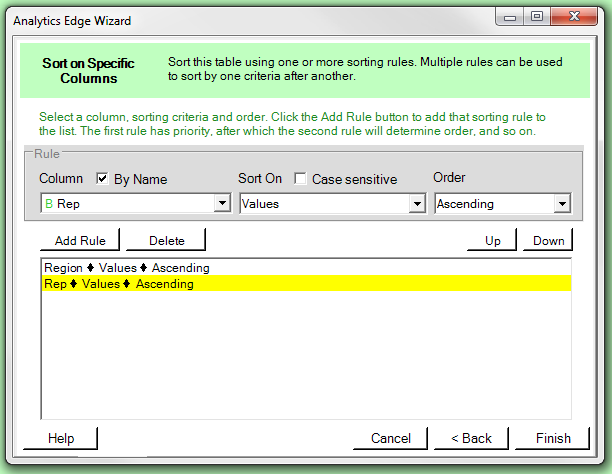 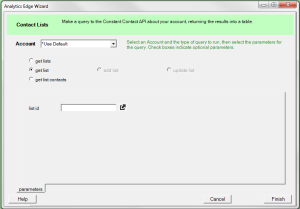 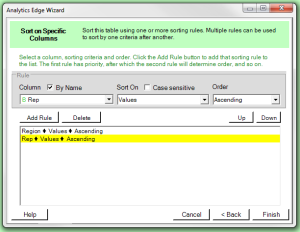 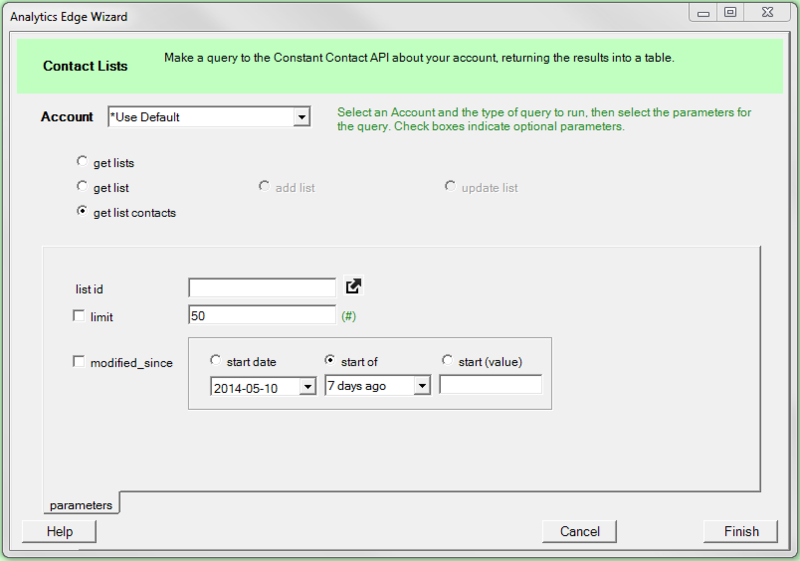 Set the Sorting options for your SalesForce query.